Chances are that you’ve never heard of lovage before. It isn’t one of the most popular herbs in the urban garden but we think it is awesome and we’re pretty confident that once you give it a shot, you will too.It’s been used for centuries as a home remedy for stomach upset and as a digestive aid, but the best part is that lovage tastes good too. If you have ever seen lovage you may have mistaken it for a rather large parsley plant. Its leaves are quite similar to that of flat leaf parsley. The flavor couldn’t be any more different. Think about a combination of a powerful celery flavor with a hint of anise. As you might imagine with those flavors, a little goes a long way but a little in soups, stews and many other dishes will make you wonder how to lived so long without lovage in your garden! 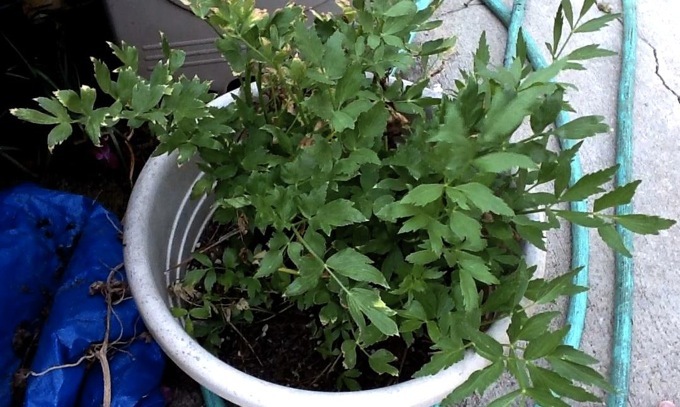 It is usually easiest to start lovage plants outdoors in late summer or early fall, but if you want to start it indoors, you can do it anytime. You need to know that the lovage plant is going to get big though, so be sure that you have enough indoor space to accommodate a plant that can get as large as 3-4 feet. 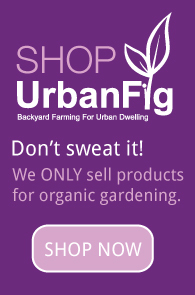 With that size in mind, you can see why we only recommend one plant per household. If you decide to transplant your lovage outside, be sure to have the area well-cultivated. Lovage grows a long and deep taproot and it needs well tilled soil to establish that much-needed strength. I’ve never experienced that, but sometimes yellow leaves can indicate overwatering. I don’t think the tomatoes are a problem. I would try cutting back all of the unhealthy parts of the plant and see what happens. Good luck and let us know how it goes. Thanks for taking the time to comment. I think you may be right about the water. When Spring rolled around I planted vegetables around it. With our 90 – 100 degree temperatures I flood about every third day. It probably doesn’t like wet feet. I think I will wait to harvest the seed, cut it back completely and relocate it to a spot with more shade and more drainage. I will let you know how things go. I’ve just ordered lovage seeds and am doing research on it now. I’ve read through my herbal books and many online links. From what I’ve read Marguerite’s climate may be at fault. Lovage needs the cold dormancy period of a winter. Growing it indoors will make it a smaller plant and growing it in warmer climates will do the same and it will be short lived. I’d think in California this might be the issue.